Our department offers summer archaeological field school experiences in both Belize and the Cape Fear region, and new in 2017, Cameroon. We also award credit for field school experiences through independent organizations and other universities. Please inquire with Dr. William Alexander, Dr. Nora Reber, Dr. Scott Simmons, or anthropology@uncw.edu for more information about our field school opportunities. UNCW Archaeological Field School in Wilmington/Cape Fear region, Summer I 2019! Contact Dr. Reber for more details! UNCW Field School in Cameroon Summer I 2017. Please contact Dr. Alexander or anthropology@uncw.edu for more information about our internship program opportunities. Click here to view Internship Completion Guidelines. Opportunities and experiences to be provided for the intern are Museum Exhibit Construction, and genral hands-on experience in museum studies, or research project. 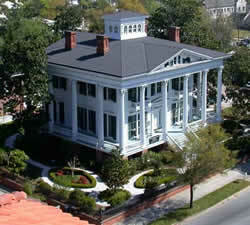 The Bellamy Mansion Museum, built between 1859 and 1861, is an architectural treasure of the antebellum period. With its rebuilt carriage house and intact slave quarters, the site exhibits a full picture of life of a wealthy, slave-holding household in a bustling city of the time. Interns have created lesson plans, created and given tours, put together informative and educational brochures and handouts, written press releases, researched various areas of the history associated with the site (particularly African-American history), aided with database organization, organized education files and written educational pieces consolidating some of the information there, and worked on organization and implementation of educational programming. Interns will work on fundraisers and help restore slave quarters, among other projects. 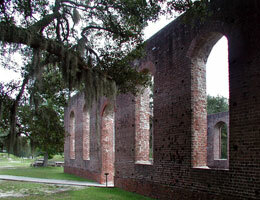 Brunswick Town is located on the banks of the Cape Fear River. It was founded in 1726 by Maurice Moore of South Carolina and grew to be a thriving port town known for shipping forestry products to England. It quickly became a center of colonial life in the region and home to two early royal governors. By the end of the Revolutionary War, the town was deserted as families left for Wilmington and other parts of the south. Foundations of the town buildings remain today. Ft. Anderson is located next to Brunswick Town and became an important Confederate fort in 1861. 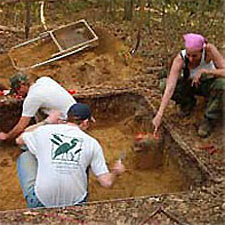 Earthworks provide evidence of the extensive layout of this site and its significance in the defense of Wilmington, NC. 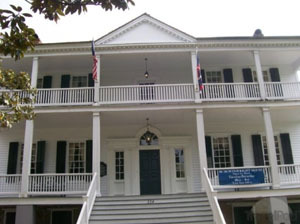 The oldest museum house in Southeastern North Carolina, displays the fine detail of the Georgian style architecture, complete with 18th and early 19th century furnishings. You will electronically categorize the house inventory, photograph the furniture, assist with NHC 4th grade class visits, and conduct research on the Wright family, John Burgwin, and architect John Hawke. This internship will be within the Collection Unit of Cape Fear Museum. 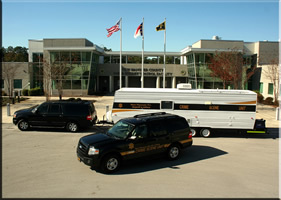 The Collections Unit is a vital part of Cape Fear Museum. It is the repository of the artifacts and research materials that support exhibits and programming. Its mission is to manage and preserve the collections, and to provide accurate historical information, accordingly to professional Best Practice standards. To expand the accessibility and visibility of both the collections and the collections staff. The intern will be locating and handling artifacts to prepare them for photographing and scanning. He/she will digitally photograph 3-D objects and scan paper items within the collection. They will then work with those images in Adobe PhotoShop and ultimately attach the photos to their records in our database system. Other projects include Native American & natural history components. You will learn the methods Cape Fear Museum uses to identify, catalogue, permanently mark, and house these objects. They will also have the opportunity to work on photographing incoming donations and loaned objects. The intern will also have the opportunity to see the day-to-day working of the collections team of CFM and every opportunity will be provided to expose the intern to other teams within the museum. The Children's Museum is a 10+ year old organization located in downtown Wilmington. It is housed in the three historic buildings; the Old Masonic Temple, the St. John's Church, and Cowan house. These three buildings connected afford nearly 17,000 sq. ft. for interactive exhibits for children and families. The Children's Museum stimulates children's imagination, curiosity, and love of learning by providing magical and playful experiences for children of all ages. Their goal is for all visitors to learn amazing things about themselves and the world through informal, playful, hands-on and child-directed experiences. The Children's museum is looking for an intern that could work with the development and marketing department to get some real-world and practical experience managing a non-profit. This opportunity is open to students who have completed advanced coursework in forensic science ANT 211, ANT 326/ANTL 326, and preferably ANT 426, and who are planning to pursue graduate study in forensic osteology or another forensic science. The Duke Lemur Center offers internship opportunities during the summer and throughout the academic year. DLC Internships allow students to have hands-on experience to expand their strong interest in animal care, education or research. Specific opportunities include: Field research, primate enrichment, and development/fund-raising at a Center which promotes a deeper appreciation of biodiversity and an understanding of the power of scientific discovery. ESI is a full service environmental consulting firm specializing in ecology, site management and remediation, archaeology, forestry, water and riverine systems, and GIS predictive modeling services. This internship is offered on an intermittent basis--if you are inter ested, please get in touch with Dr. Reber! The Full Belly Project is always looking for passionate interns to join our team! Located in downtown Wilmington but working on all seven continents, the Full Belly Project is nonprofit dedicated to developing tools that improve lives around the world. Our innovations generate income in rural communities, empowering individuals to improve their own lives. Our primary project for Spring and Summer 2017 is in Chipata, Zambia, where a volunteer is setting up a Universal Nut Sheller factory with the goal of creating financial independence and stability for over 100 farmers. Interns help with a variety of tasks depending on their area of interest. Searching for grants, managing social media, processing donations and assisting with upcoming events are expected tasks in the office. We want to give you experience you can be proud of and use in future jobs. The student will gian hands-on experience with the legal aspect of forensic science and understand socio-cultural factors of the legal system from an anthropological perspective. Interfaith Refugee Ministry's task is to assist refugees with the basic necessities when they first arrive in Wilmington and surrounding areas. This includes, but is not limited to, assistance with housing, food, clothing, employment, learning English, and cultural orientation. The IRM is seeking interns to assist in the education, support, and cultural orientation of refugees to help them become self-reliant, emotionally secure and culturally adjusted into their new homes. 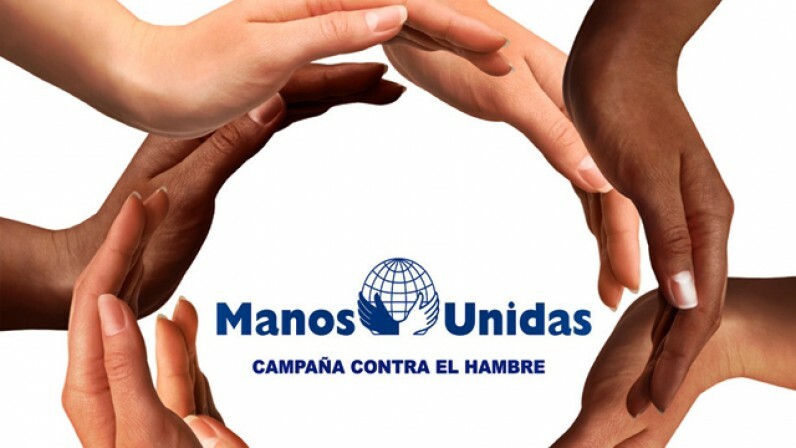 In the Manos Unidas Farmworker Health Program, interns assist in providing health care outreach to migrant farmworkers and their families. This internship requires some fluency in the Spanish language and a vehicle. Their offices are located at the Black River Health Services clinic in Atkinson, NC in Pender County. For more details, please contact Dr. William Alexander. This agency provides employment-related services and support for individuals with disabilities and mental health diagnoses. Interns provide assistance, support and employment success strategies to clients under agency supervision. This internship requires a vehicle. For more details, please contact Dr. William Alexander. The Poplar Grove plantation is one of the oldest peanut plantations in North Carolina. The plantation was in the Foy family for six generations, from 1795 to 1971. Opened as a museum in 1980, the present Manor House is listed on the National Register of Historic Places, and sustained through the continuing efforts of the Poplar Grove Foundation, Inc. Poplar Grove Plantation preserves the homestead of a successful farming family, along with the outbuildings and crafts typical of a 19th century working community. The 15+ remaining acres of the homestead are under the stewardship of the North Carolina Coastal Land Trust, as well as an adjacent 67 acres in the Abbey Nature Preserve. Interns will help with historic research, archaeological evaluation, museum exhibits, and evaluation and maintenance of archival materials as required by the Plantation director. Excavation and/or conservation may be included in this internship, as needed by the museum. This new non-profit organization is focused on recording and recovering archaeological sites endangered by development on private land. The goal is to raise public awareness of local cultural heritage, and to inventory sites of archaeological significance located on private land. Interns will assist with the mission of the organization. Opportunities may include archaeological surveying, archaeological excavation, archaeological/historical research, and public outreach. This internship enables UNCW students to learn about underwater archaeology, which is currently unavailable at UNCW in a classroom setting. Students gain hands-on experience working with recently recovered materials obtained during underwater excavations at a variety of local sites. This provides the student with valuable training and experience in artifact processing, analysis and curation that will assist them in their professional life outside of the university. Students might have the opportunity to learn archaeological field techniques by participating in limited excavations of terrestrial sites in the Cape Fear region. Interns will process, analyze and conserve archaeological materials obtained during local underwater archaeological projects. 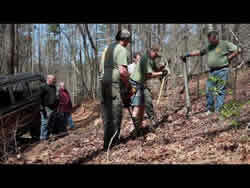 Students will engage in the practice of ethnography and applied anthropology as part of a team set up by the US Forest Service to investigate the area's 1934 African American Hillfield community, by exploring historic homesites, interviewing last living family members, collecting memories, evaluating informative sources, and creating a digital record of these memories in the form of digital files of voice and/or video interviews and photographs. This internship is offered on an intermittent basis--if you are interested in this site please contact Dr. Reber. "Whats Wrong With Different?" is an anti-bullying program developed by the YWCA Lower Cape Fear as a way to teach students value and respect the differences between people. The goals of this program is to focus on diversity and includion for 3rd grade students in New Hanover, Brunskwick, Pender and Columbus counties. 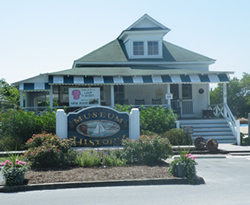 The WB Museum of History exists to preserve and share the history at Wrightsville Beach. Students will aid with the newsletter, write/edit press releases and publicity text, greet guests at reception desk, aid the archivist with inventory of museum, help with pre-publicity and organization of Claude Howell Day in September, Annual Meeting in October, Flotilla events in November, and Jingle Bell Run in December.